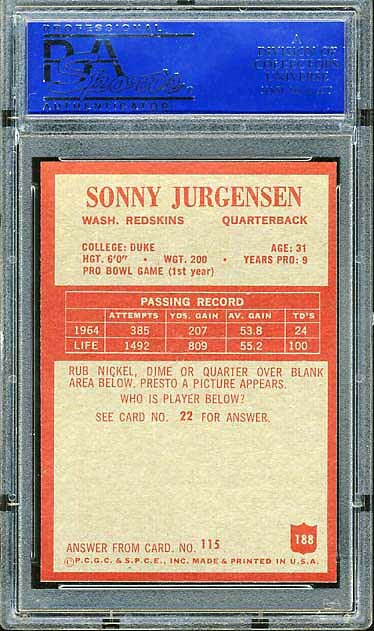 Anyone who grew up in Washington D.C. during the late 60’s and early 70’s loved rooting for Sonny Jurgensen. 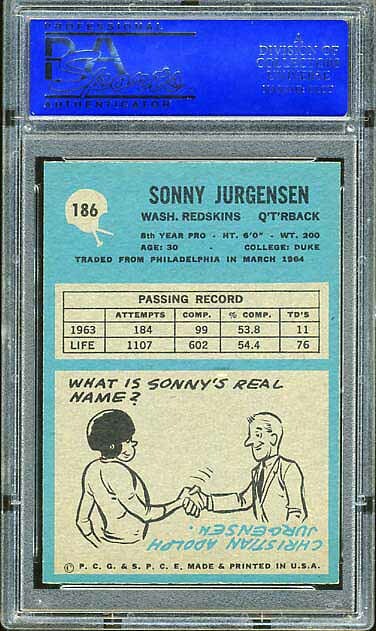 Besides Redskins football cards and Redskins team sets, I collect almost any vintage item with Sonny’s name on it. 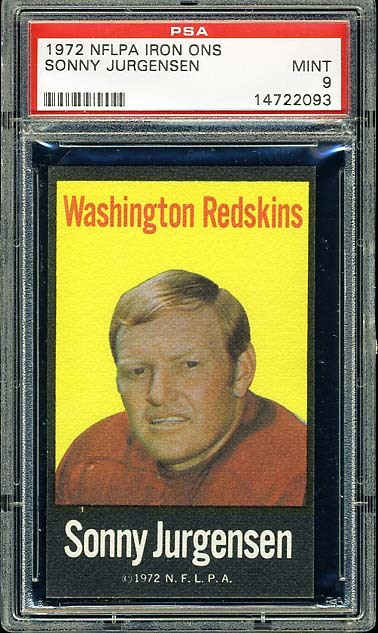 I do not plan on registering my Redskins team sets with PSA. 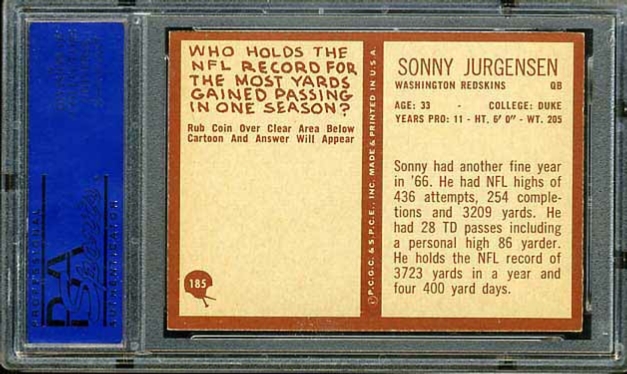 While I like high-grade cards, I cannot tell much of a difference between and 8, 9, or 10. 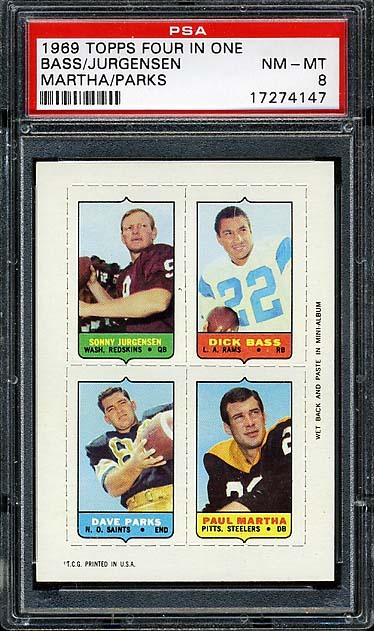 They all look pack fresh to me. 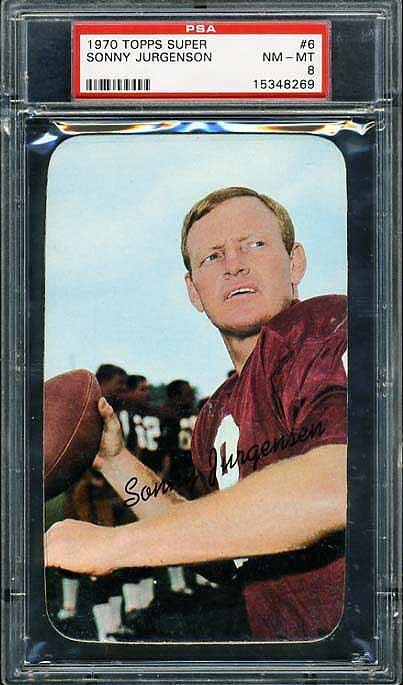 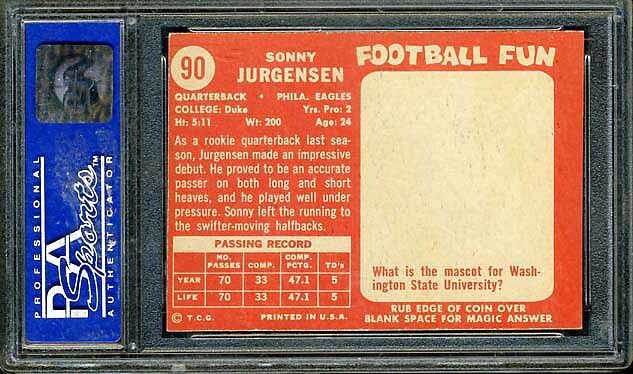 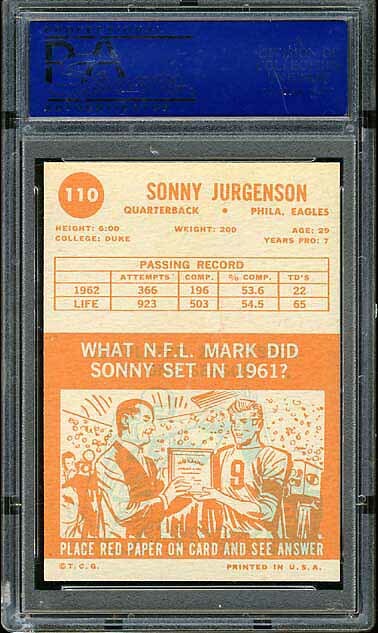 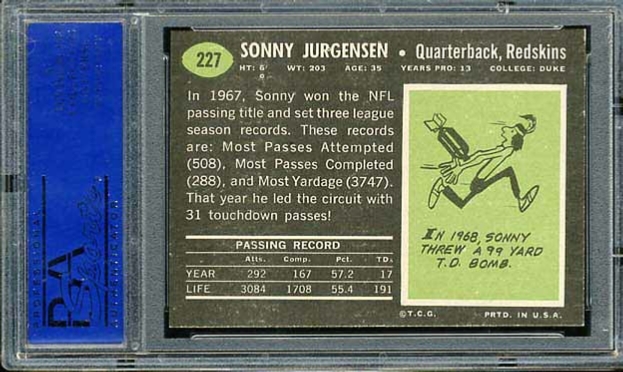 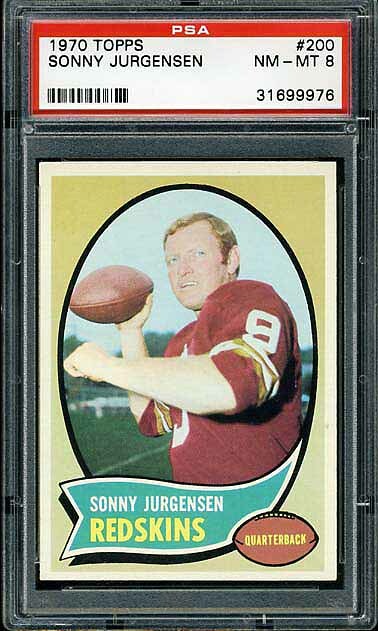 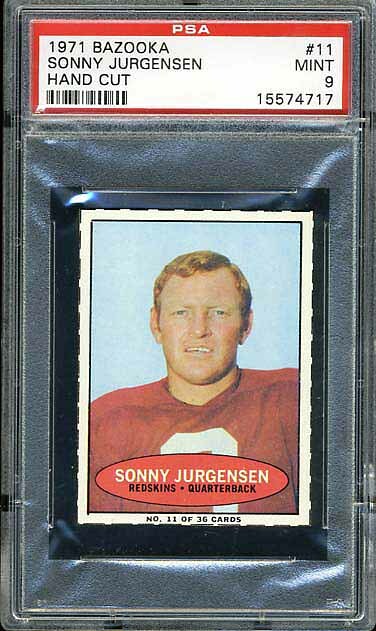 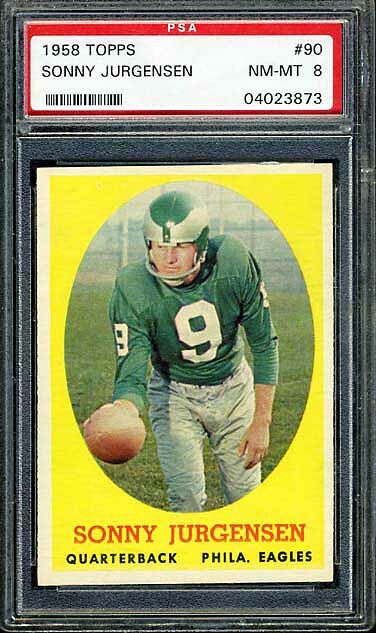 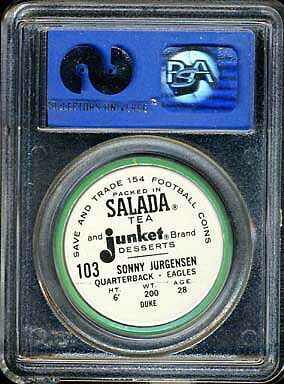 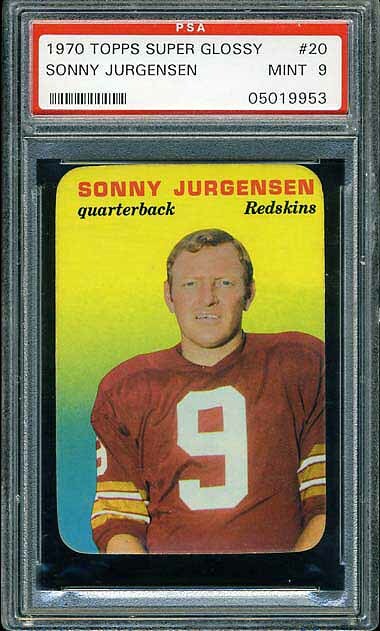 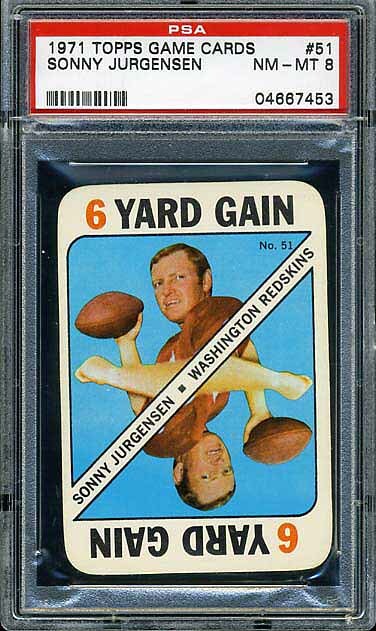 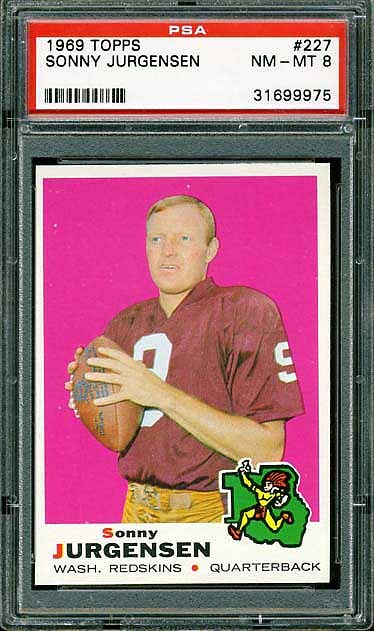 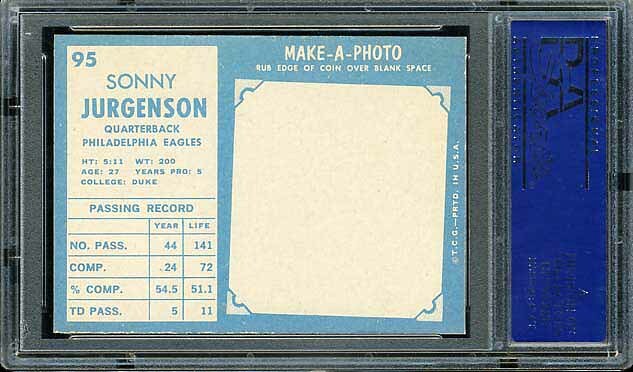 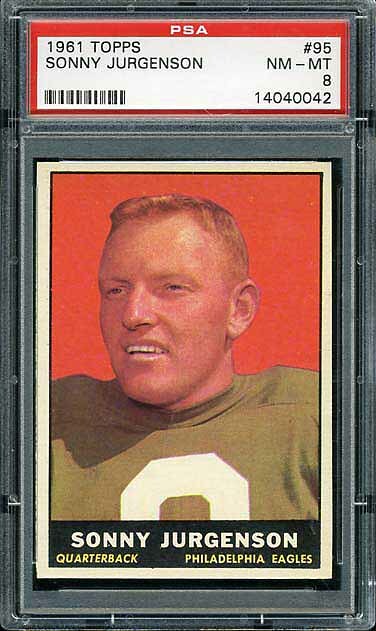 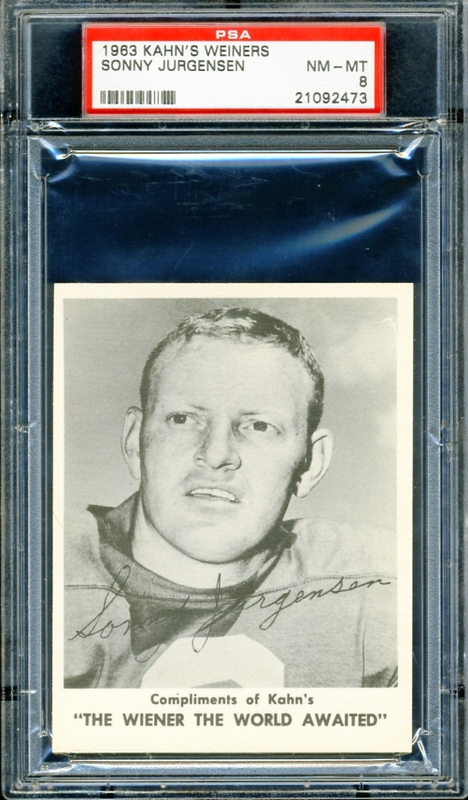 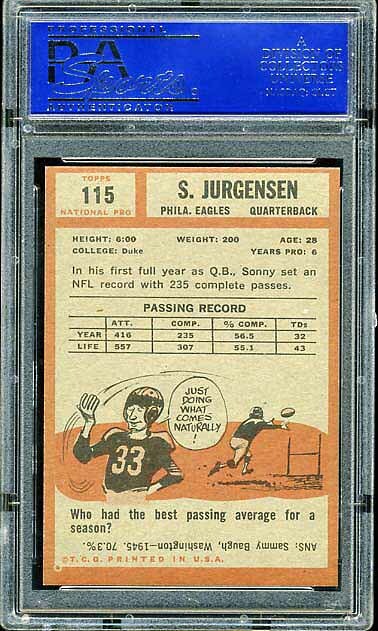 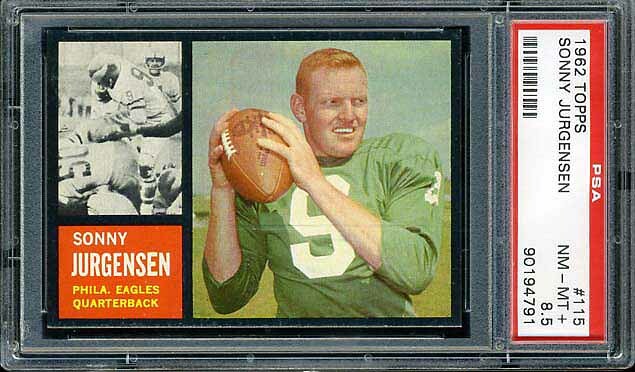 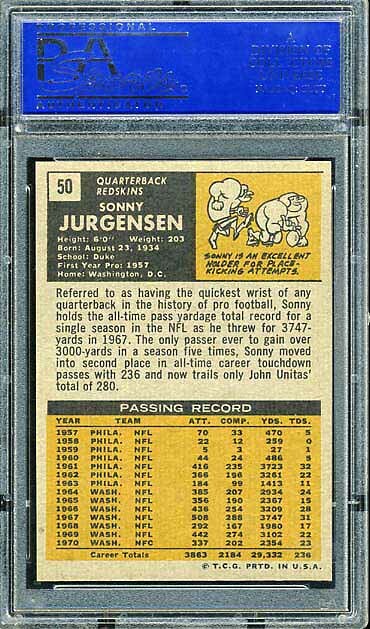 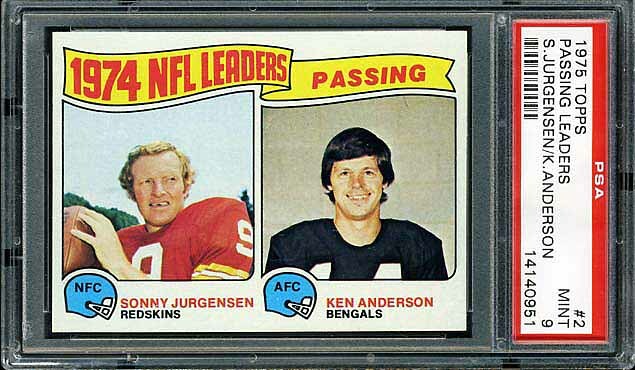 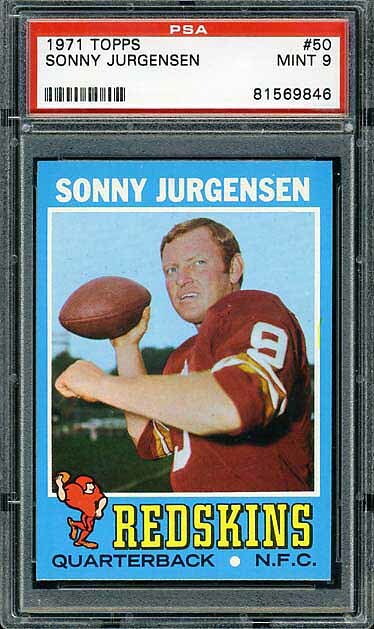 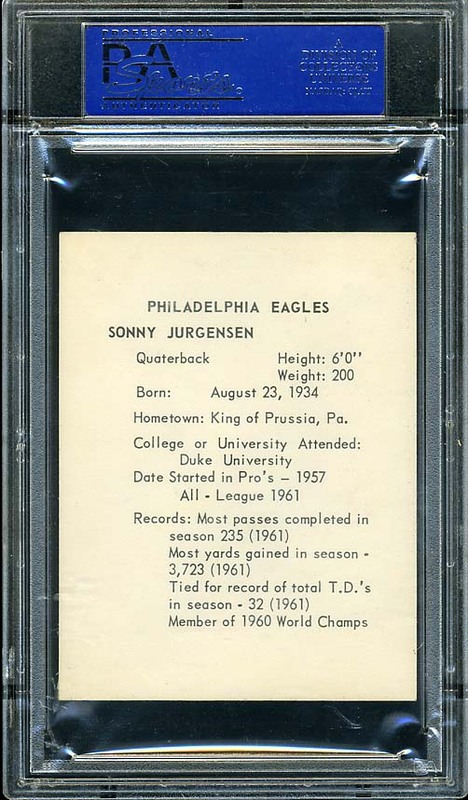 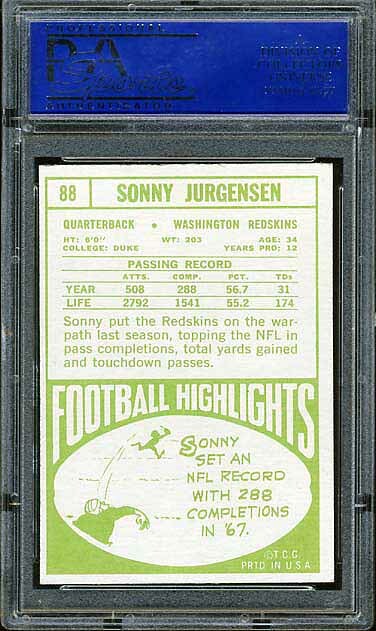 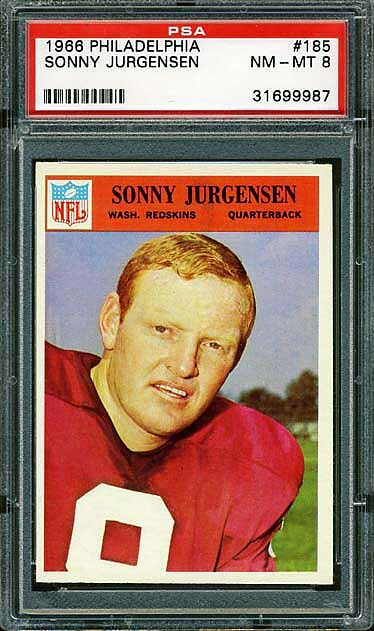 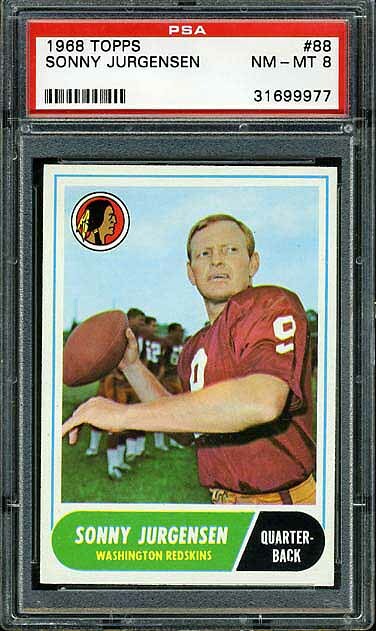 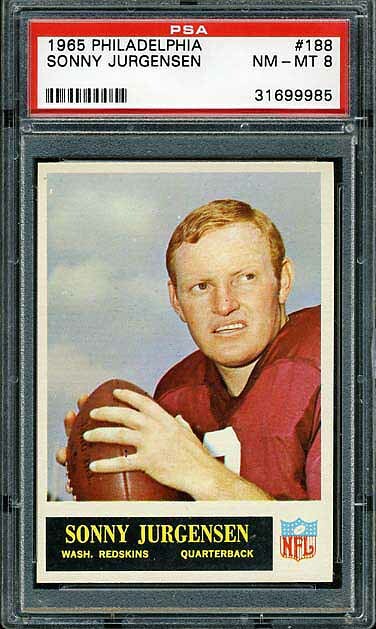 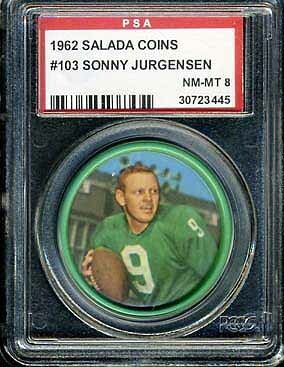 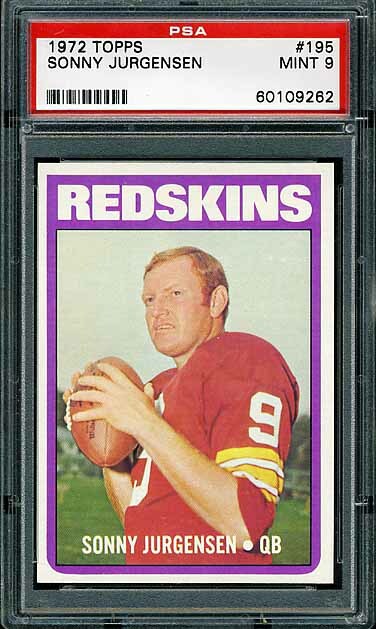 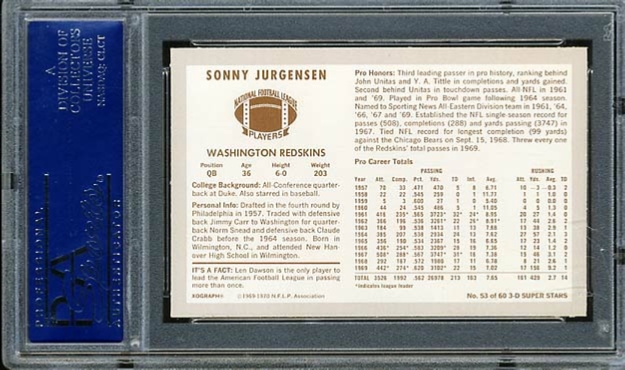 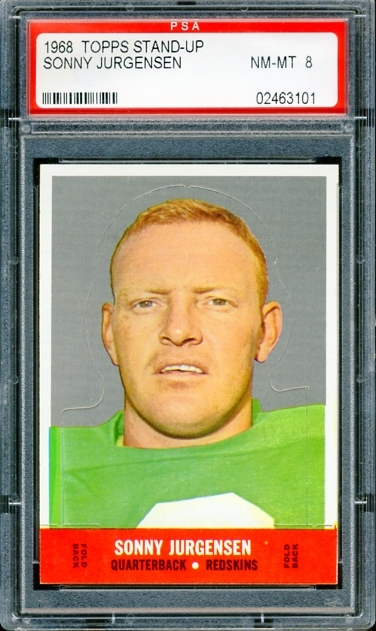 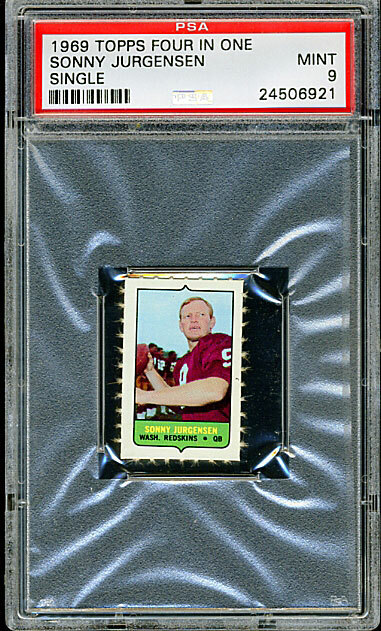 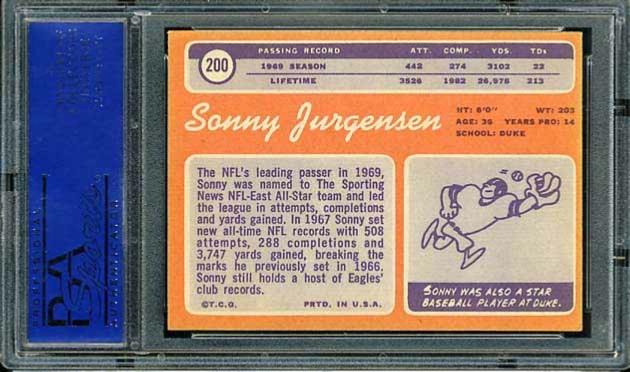 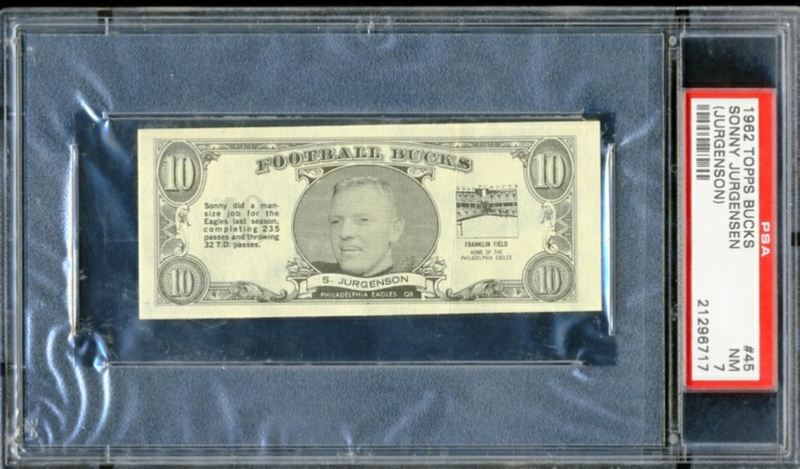 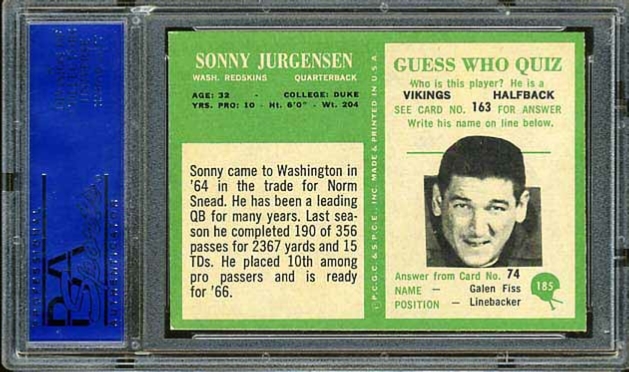 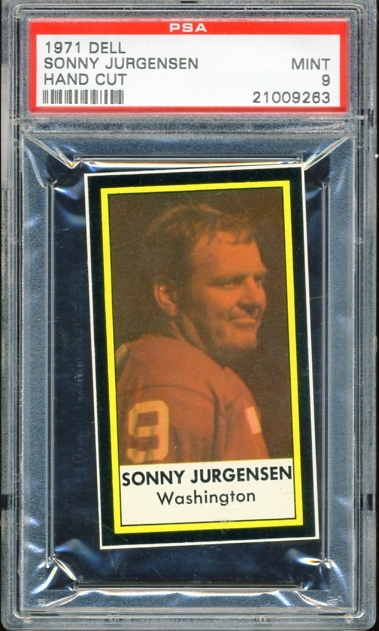 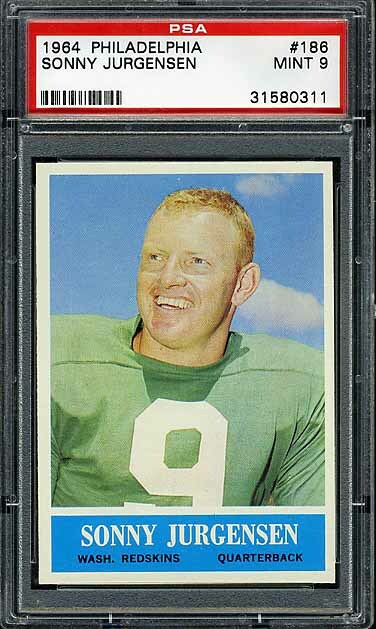 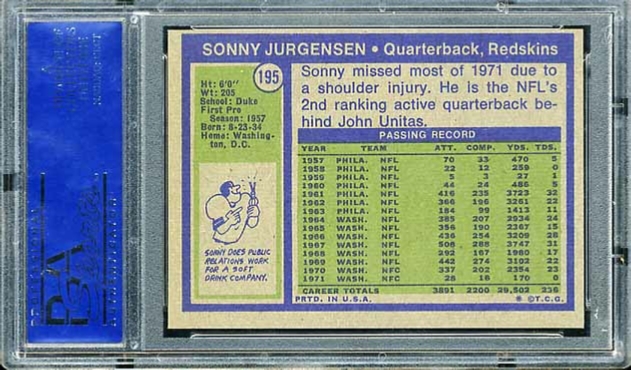 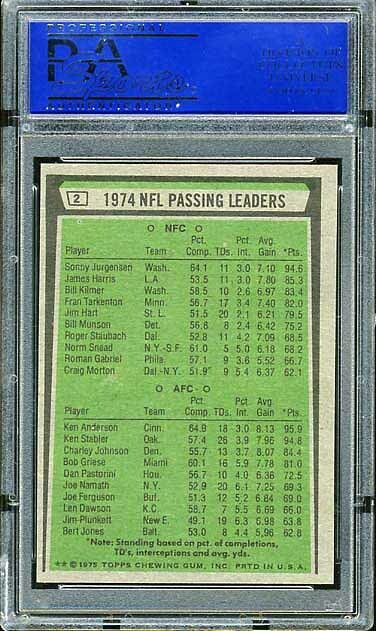 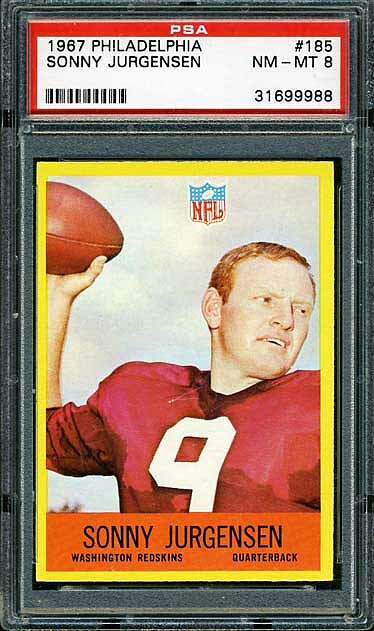 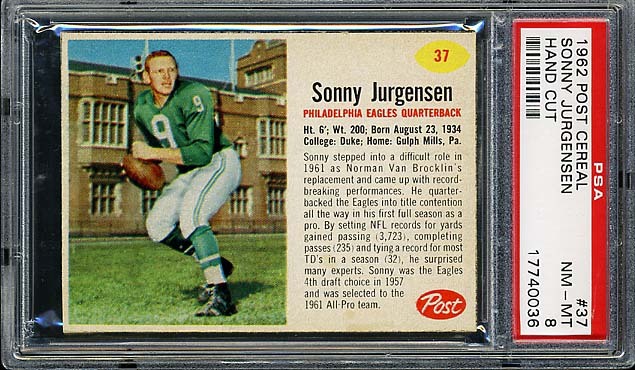 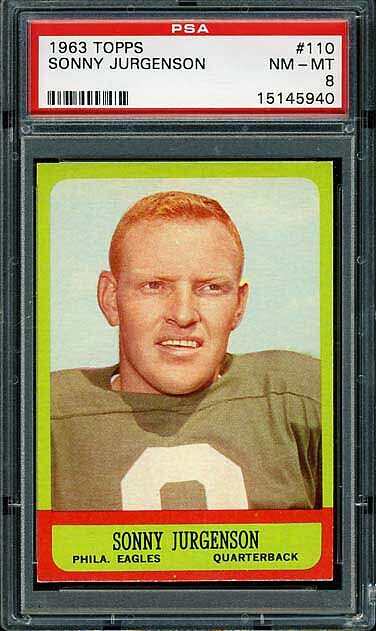 However, I have decided to try to complete and register the Sonny Jurgensen PSA Master Set. 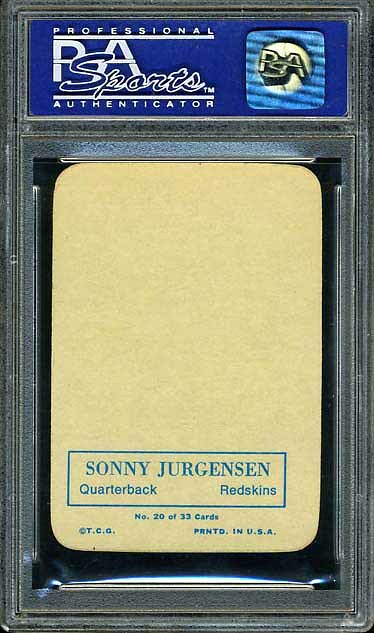 This has been the number 1 set 5 out of the last 6 years.